Researchers in the US have designed, built and tested a radical new lightweight wing design that can change shape mid-flight to enhance performance and boost efficiency. 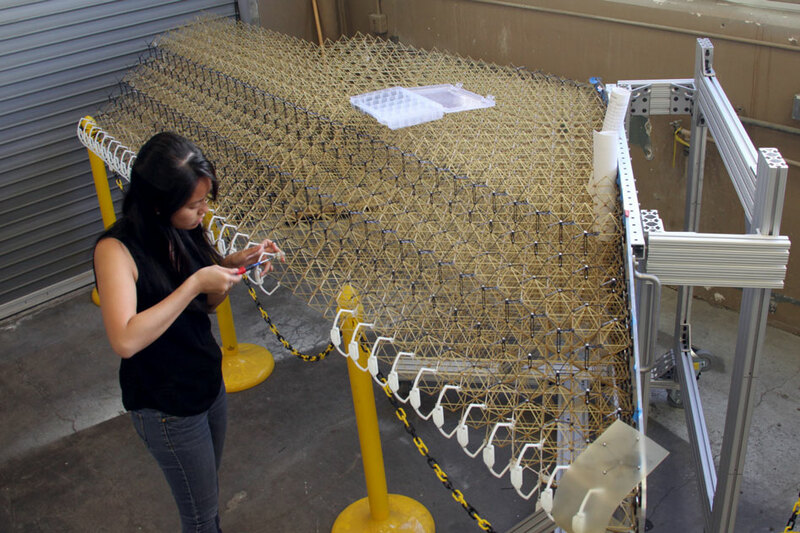 Developed primarily by engineers from NASA and MIT, the wing is made from thousands of triangular components with matchstick-like struts, bolted together in a lattice framework. This lattice is then covered in a thin layer of polymer material similar to the struts. 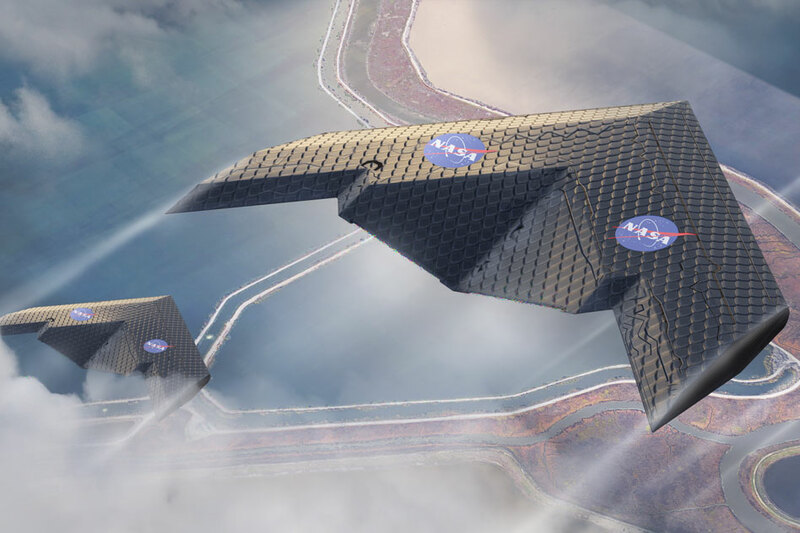 The resulting wing structure is comprised mostly of empty space, forming a mechanical metamaterial that combines the stiffness of a rubber-like polymer with the lightness and low density of an aerogel. According to the researchers, the wing has a density of just 5.6kg per cubic metre. What’s more, the shape of the wing reacts passively to its environmental forces, with the stiffness in different struts carefully calibrated to achieve the desired effect. Sections of the wing bend in response to the various phases of flight, delivering a more optimal performance at take-off, cruise and landing. The research is presented in the journal Smart Materials and Structures. A 1m version of the wing was developed a few years ago to validate the underlying principle, with a waterjet used to fabricate the individual components. This latest research saw the team develop a 5m prototype, using injection moulding to significantly speed up the manufacturing process. The struts still had to be put together by hand, but the team believes this step could be automated using assembly robots, and this is the subject of an upcoming research project. As the wing is made from thousands of sub-units, it also opens up the possibility of entirely new aircraft designs. 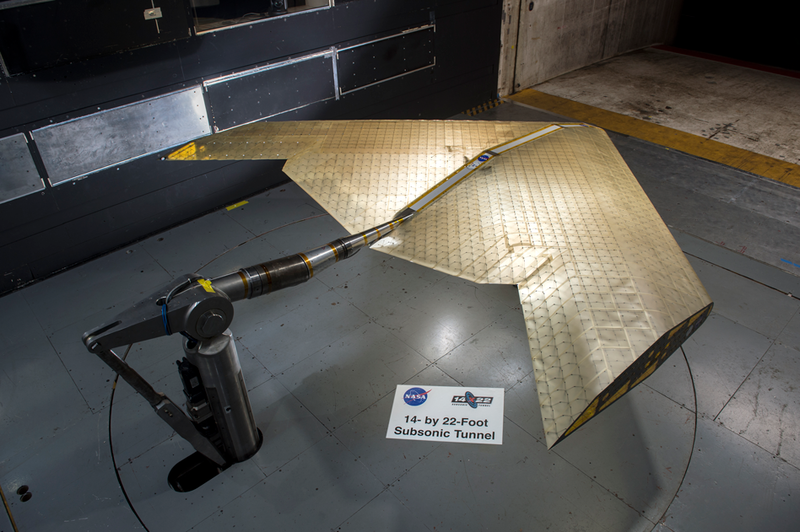 During testing at NASA’s high-speed wind tunnel at Langley Research Centre, the wing performed slightly better than predicted, according to Jenett. He also claims the same fabrication system for the wing structure could be used to build blades for wind turbines, facilitating on-site assembly and avoiding the problems associated with transporting ever-longer blades. Just as the fact that the original stage-coaches had windows (even if the sensibilities of travellers was that the blinds were drawn when passing through natural countryside) what a pity that the earliest aircraft cabins had to have the same! Passengers it was believed, had to see where they were going, even if they had no control over what they saw! Of course, the earliest aircraft copied birds: but is that the optimum shape when the power available could propel man-made flying units -ie aircraft ! orders of magnitude faster than their natural examples. I am sure there are other aspects to the man-made world which would benefit from similar re-vamps and new-thinking?